For those just entering the realm of SEO, it can be an overwhelming undertaking. 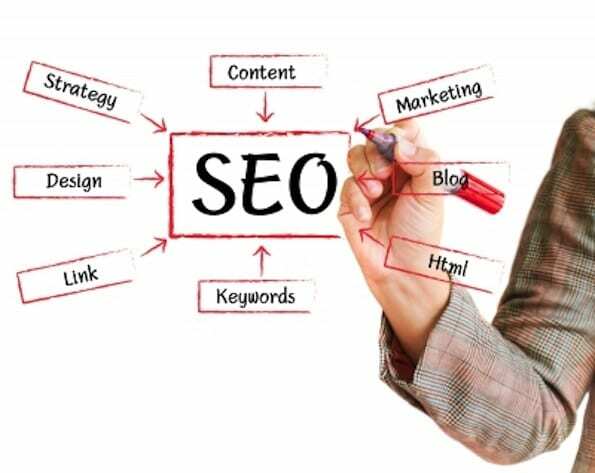 It can be challenging to understand the basic tenants and concepts of the practices and with more than 200 ranking signals to worry about, SEO can quickly become a nightmare. For this reason, many SEO rookies turn to more “experienced” agencies or SEOs to handle the tasks, but end up with minimal results and a much lighter wallet. I suggest starting the process yourself; it’s never a bad idea to understand the process intimately, even if you seek help later. If you are still new to SEO, understanding the basics is crucial. The two main intentions of these strategies is to make websites more easily understandable for Google’s spiders and to make sites more user-friendly to visitors. To help you gain a more high-level view of how Google works, it is wise to check out this Google tutorial on search as well as this video from Matt Cutts, a former Google engineer. Once you’ve got those under your belt, dig into these eight do-it-yourself SEO tips that will help your site become more visible. To drive more visitors to your site, you need to understand who you are targeting; customer personas can help you zero in on your ideal prospect. To create a buyer persona that is beneficial to your brand, you really need to research how your customers handle daily rituals, pain points, preferences and other intimate details. All of this info will help to guide the rest of your strategy. Keywords are the words, terms, and phrases that your target audience searches to find products or services similar to yours. These are also the phrases that help search engines identify the most suitable content to serve to its visitors. Some of the most popular tools for this type of research is the Google Keyword Planner and Wordstream. If you have trouble using these resources, there are plenty of articles that can guide you through using keyword tools. When conducting your research, do keep in mind that long-tailed keywords are becoming more powerful as technologies like voice search become more commonplace. With your keywords planned, start identifying your top rivals for each phrase and study the tactics they are using to rank. Be wary, however, to not let this research guide your entire strategy from here on out; this is only to better inform your plan of action. Tools like SpyFu can help you get the understanding you need. Despite the superabundance of content living online, this is still at the bedrock of a great SEO strategy. And yes, a whole lot more. The No. 1 rule in content creation is to write for the readers; target a specific keyword, but don’t stuff your content full of it. Leverage that keyword in the title, body, and URL along with various synonyms throughout. Make an attempt at connecting to a reader’s obstacles and how you can solve those issues. It is also wise to attempt to connect with relevant bloggers in your industry to build connections in hopes of gaining a guest post and links back to your site; the higher authority these folks are, the better. If you want to utilize content from another site, be sure to link to and reference the original source because Google demotes sites that promote duplicate content. Finally, for any content that you create, be sure to implement SEO-centric URLs; make them easy to read, understand, and incorporate the targeted keyword. With your content published, begin sharing it on social, through paid ads, in your newsletter, and other sources that will drive traffic. When creating content, it is necessary to incorporate both internal and external links. Internal links connect to other pages on your website that contain relevant information to the topic at hand. This provides readers with additional information, increases their time-on-site, bolsters rankings for keywords, and amplifies Google’s ability to crawl your site. External links, or inbound linking, is gaining a link back to your site from an outside source such as another website, forum, and so forth. These are a must for great SEO. And, once again, the higher authority the better. There are a variety of links to be acquired, and plenty of info online about how to gain them. Mobile optimization is a must. Online trends are increasingly pointing to a mobile-first future and Google has even begun a mobile-first indexing experiment. There are plenty of methods for creating a mobile site. With a mobile site completed, utilize Google’s Mobile-Friendly Test tool to ensure that everything is good to go. After that, begin researching mobile SEO optimization techniques to improve your rankings even further. Page load speeds are a heavily weighted factor in SEO. This is mainly because users are deterred from using slower sites among limitless options. There are a plethora of resources available to help you understand how to speed up your website. Your Google Analytics page is going to help inform you about what is working and what still needs work; this is vital data if you are going to improve your strategy. Be sure to reference this information often to understand traffic sources, bounce rates, conversions, and other vital aspects of your site. SEO can be massively challenging, but it is far from impossible to learn and implement yourself. Just be sure to leverage the information here and on other sources around the Web, continue studying the current best practices and keeping up with emerging trends and you will become an SEO wiz in no time. What is your biggest struggle with SEO implementation? Which aspect of SEO do you simply not understand?